This is one of our top sellers. 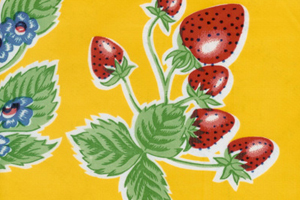 A great spring print with lots of strawberries. The Oilcloth is 47" wide.